(LOCATION: Punta FL) This Endeavour 33 Sloop is a Bruce Kelly design with classic style and upscale accommodations. She features large cockpit and spacious interior with teak woodwork. Dark blue hull and white top-side add good looks to a very accommodating cruiser. On deck we have a spacious cockpit with bimini top, cushioned seating, fold-away table, and pedestal helm with stainless steel wheel. Stern-mounted stainless steel dinghy davits and motor mount provide a home for the dinghy of your choice. Dacron sails and stainless steel rigging are in excellent condition. Auxiliary power is provided by a Yanmar 20-hp diesel engine. The spacious interior is good-looking, well-finished, and extremely comfortable. As you come below the full galley is to starboard with molded cabinets, solid surface counter-tops, stainless steel sink, ice box, and two-burner range with oven. Port side is a nav station table with double quarterberth aft. Forward in the salon are facing settees with fold-away dining table, under-seat storage, and bulkhead storage. Forward of the salon we have the enclosed head, hanging lockers, dresser, and the forward stateroom with v-berth and under-berth storage. There’s plenty of room to relax with sleeping accommodations for overnight and weekend getaways. This is a beautiful Endeavour Sloop with comfortable interior, classic design and flawless craftsmanship. She is well equipped, carefully maintained, and ready to sail. 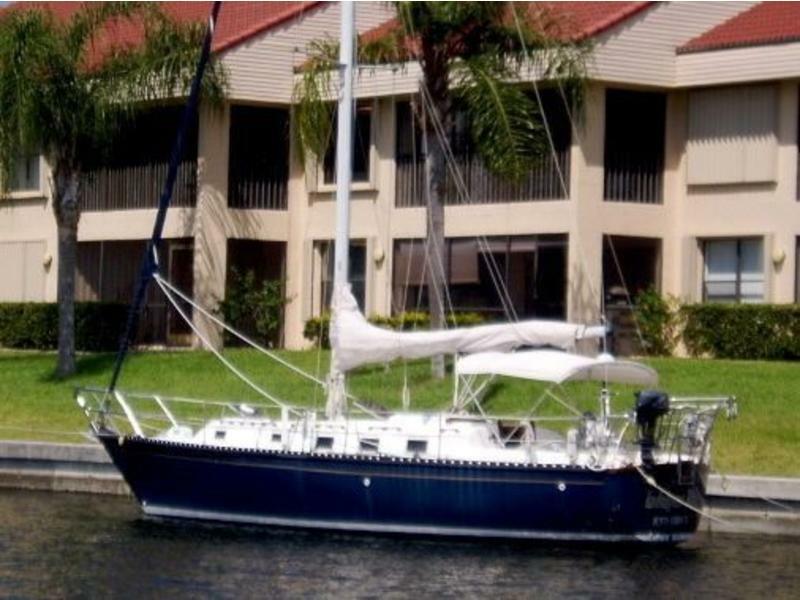 Call now to schedule a showing of this very affordable 33′ Endeavour.